This article details how to set up the Outlook App on Apple iOS devices with your Xplornet email address. Tap Settings at the bottom left (gear icon) > Add Account > Add Email Account. Do not tap “Not IMAP”, as IMAP is recommended. 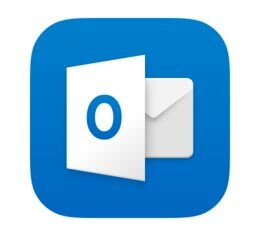 Your email account is now ready for use in Outlook on your iOS device. If you changed your email password in webmail, you will need to change it in Outlook and Settings to match the new password. Tap the menu icon the upper left corner (3 horizontal lines).